JUSTICE MINISTER CHARLIE Flanagan has said that the Kinahan cartel has nowhere to hide even if they are conducting their illegal operations from different jurisdictions. Responding to questions over the murder attempt of a senior member of the Hutch family in Turkey last week, Flanagan said that his department along with gardai will continue to work with their European counterparts in a bit to curb the scourge of gangland violence across the continent. A member of the Hutch family had been holidaying in Turkey when he claims he spotted two men outside his villa wearing balaclavas. He then jumped from a window, shattering two of his ankles. The supposed gunmen then fled. The Hutch family member is now back in Dublin but is refusing to cooperate with officers. His home is now protected by armed gardai – but he’s still being treated for his injuries in hospital. “My message to Irish criminals overseas is the same as my message to Irish criminals within the jurisdiction- there is no hiding place,” Flanagan said. I want to acknowledge the importance of our international relations, members of An Garda Siochana working with Interpol, working with our EU colleagues. Flanagan also described the importance of the European Arrest Warrant – a continent-wide law which allows foreign agencies to arrest Irish people suspected of committing offences in Ireland. 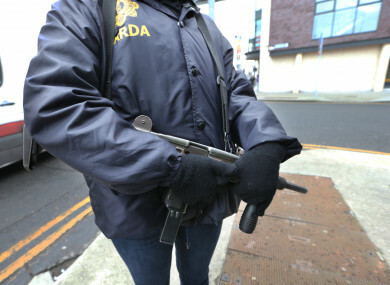 A number of alleged gangland figures have been returned to Ireland using this legal mechanism. Gardai continue to work with their colleagues in Europe – especially those in Spain, the Netherlands and the UK. Email “Flanagan's message to Kinahan cartel working abroad: 'There is no hiding place'”. Feedback on “Flanagan's message to Kinahan cartel working abroad: 'There is no hiding place'”.